It hath evermore been the notorious badge of prostituted strumpets and the lewdest harlots to ramble abroad to plays, to playhouses; whither no sober girls or women, but only branded whores and infamous adulteresses, did usually resort in ancient times. Located on Ludlow Street, this Lower East Side cabaret was established in 1998 by Gloria Excelsis, Calista Joyce, and the Lüdérc Sisters. Designed to resemble an authentic Weimar cabaret, Tannhäuser is open every night from Thursday through Saturday, and features a wide variety of acts including burlesque shows, vaudeville productions, fringe theater, risqué performance art, and even comedy reviews. Among the vampires of New York, Cabaret Tannhäuser has developed a reputation for productions that flout the limits of the Masquerade. While this may simply reflect the exhibitionism inherent in burlesque, Gloria’s brazen personality is also an important factor. Loviatar and her troupe take a puckish delight in a kind of supernatural striptease, coquettishly revealing glimpses of the vampiric world hiding in plain sight from their human audiences. This provocative aesthetic is not just limited to burlesque. Shortly after the cabaret opened its doors, a Malkavian comedian performed an evening of “vampire standup,” open to the public at large and protecting only the names of the innocent. More spectacularly, Cabaret Tannhäuser recently produced a chamber version of the cabaret’s namesake opera. Featuring Calista Joyce as Venus—costumed as Venus and Orchid, no less!—the production featured a live, onstage Embrace as “Venus” killed and resurrected the tenor playing Tannhäuser. That this was performed in front of an unsuspecting human audience gave the Camarilla a collective heart attack, and nearly caused the Ventrue to expel Loviatar’s coterie from the Lower East Side. The core of the Gotham Sabbat was first uploaded on 31 October 2000, but the Byzantium Coven was extensively revised during the August-October 2018 update. 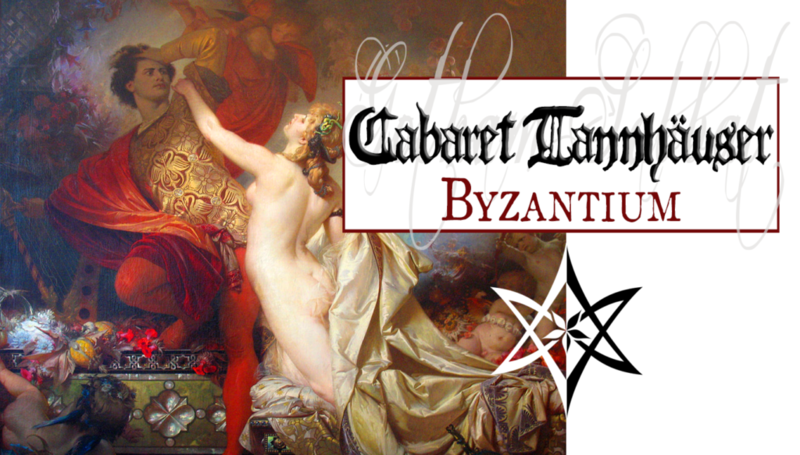 The banner for Cabaret Tannhäuser features, what else, Tannhäuser und Venus, a painting by Otto Knille dating from 1873. Cabaret Tannhäuser itself was inspired by the Blue Angel Exotic Cabaret, a wonderful outfit on Ludlow Street that helped revive the art of burlesque in New York City and the home of Velocity Chyladd, one of the inspirations for Loviatar.